THE Dandy Pig has a new friend in town. Keeping watch over the city from the balcony of the Civic Centre the inflatable dinosaur named Puck has taken pride of place overlooking Lonsdale Street. 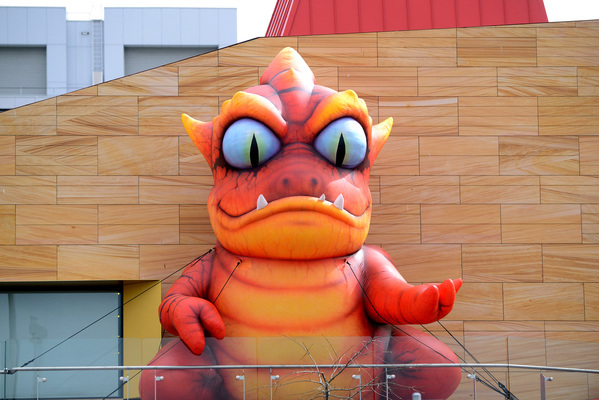 Dandenong’s newest prehistoric pal was designed by artist Felipe Reynolds and theatre maker and director Ed Boyle for the launch of the Greater Dandenong Children’s Festival. Erected on Friday 18 September, Puck’s family have set up camp in the foyer at the Drum Theatre where they will stay until Sunday 4 October. 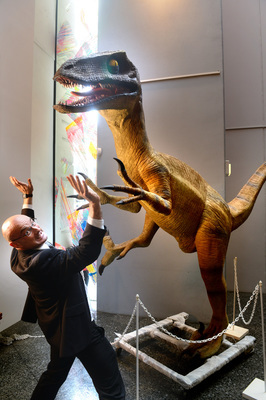 Now in its fourth year the Children’s Festival has taken on the theme of dinosaurs and has more than 100 scheduled activities. 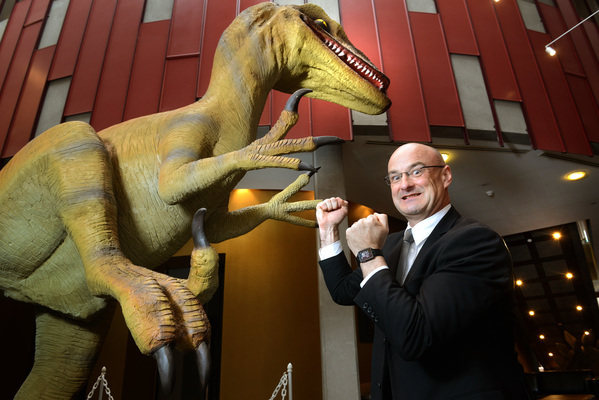 Mayor Sean O’Reilly dubbed Dandenong a “child friendly city” and said events such as these showcase how important children and families are to the community. “There is something for everyone during the Children’s Festival and the fact it runs over school holidays gives all families the chance to have some fun,” Cr O’Reilly said. For more information on the festival visit www.greaterdandenong.com/childrensfestival.